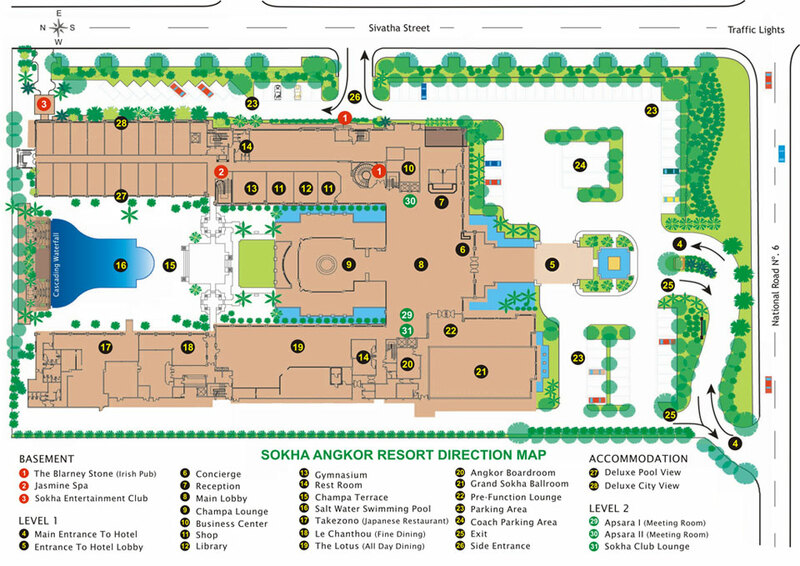 Sokha Angkor Resort offers 276 guestrooms and suites with modern Khmer design for comfort with a choice between city view or pool view. The regional fine dining Le Chanthou restaurant indulges guests in a luxury private area featuring western specialties dishes, Khmer's signature dishes and extensive wine list. For meetings, incentives, conferencing and exhibitions; our resort offers one of the largest facilities in Siem Reap with up-to-date technology system. For your wellness after a worn out from business meeting or temples discovery adventure, experience relaxation and rejuvenation of your mind, body and spirit at our award-winning Jasmine Spa.